We’ve all done it – found ourselves running late for work or an appointment and left with no time to eat a proper meal. We pull the car over at a drive-through, or we dodge into a fast food restaurant to pick up a quick meal on-the-go. While these foods might fill our bellies, they do little for our health. Food on the go tends to be unhealthy, and when we are rushed we often eat a lot more than we want or need. Do this too often, and you’ll end up with poor health and extra weight around your midsection. A much better way to cultivate healthy eating habits is to spend more time eating meals, not less. Eating with friends and family is not only a valuable way to spend time together, it can help you to stay healthy, and look and feel younger. There really is a reason that humans have been sharing communal meals together since time immemorial. When we eat together, our so called ‘animal brains’ receive the message that we are safe and happy, and our bodies are flooded with positive hormones and emotions. Having a meal with your family and friends is a great way to boost your mood. Want to feel better? Invite some mates over to eat. In addition to the personal benefits that you will receive when dining with others, you will also be contributing to a stronger community. That’s right – eating with friends and family is known to strengthen community bonds and build important friendships. 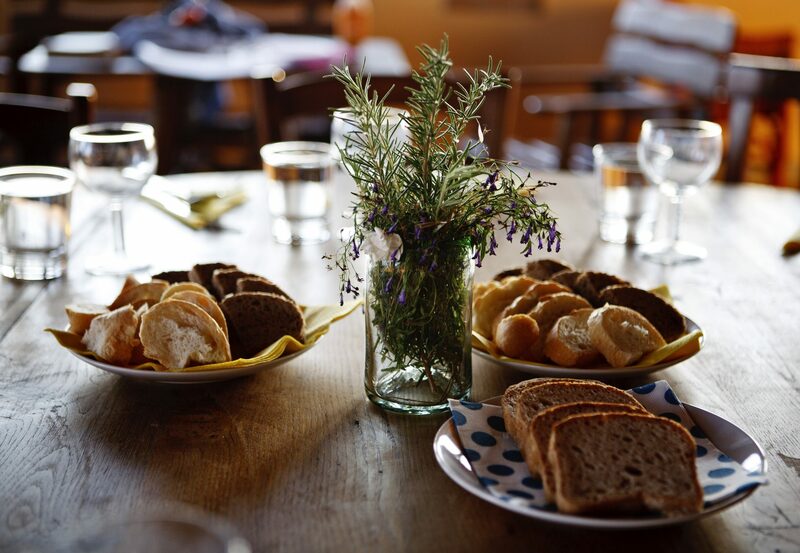 Take time to laugh, share stories, and enjoy each other’s company over a delicious meal. 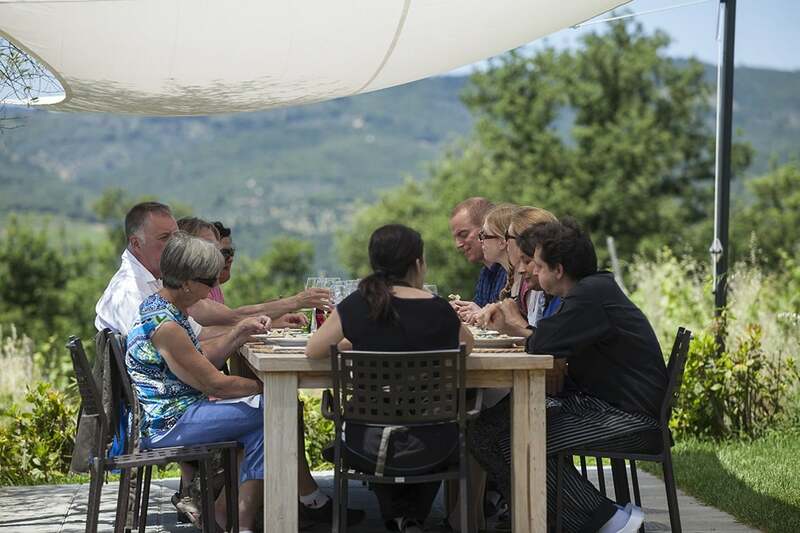 One of the most unique and exciting ways to eat with family and friends (especially brand new friends) is to take a cookery holiday. 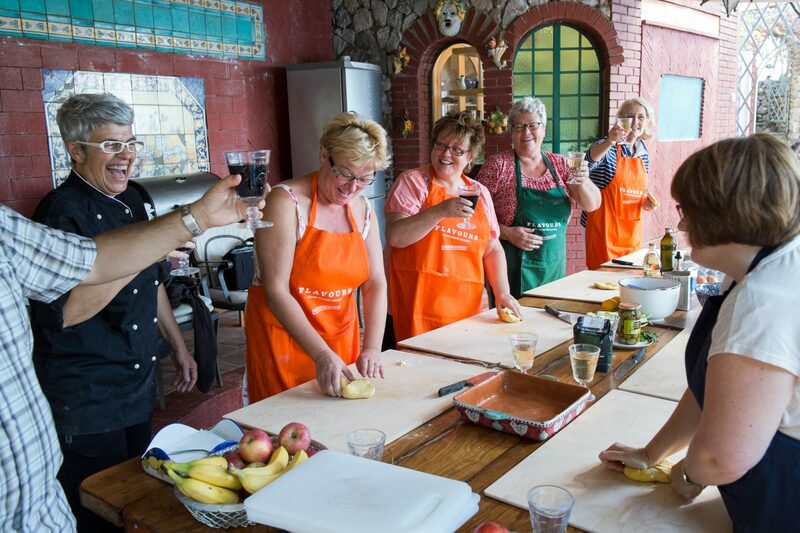 Taking a cooking holiday to Italy is a brilliant way to learn about new recipes and connect with your family and loved ones. Travelling solo? No problem. You’ll meet heaps of new friends and learn techniques to help you create delicious meals. Cooking and eating on an Italian cooking holiday will change the way that you eat, and help you build healthy eating habits. In addition to the positive relationships you can build when eating together, when you have a meal with others you tend to eat more slowly. By taking your time over your food, you will feel full more quickly, and you tend to eat far less than you would when eating a burger on your own. Studies have also shown that adults tend to make healthier food choices when dining in a group. When gathered around a table with friends and family, we are more likely to reach for healthy salads, grilled proteins and fruit rather than burgers, crisps and soda. Remember – when you’re cooking for a big group, try to make sure that the menu is loaded with healthy options. When you have new people over for a meal, or dine with your family, you might find that your meal horizons are expanded. New people in your social sphere are likely to introduce new recipes and new ingredients onto your table. Getting excited about healthy new ingredients is a great way to incorporate fresh fruits, vegetables and grains to your diet.